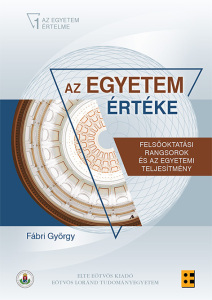 Now published a comprehensive monograph of university rankings, written by Gyorgy Fabri (me…). Currently only available in Hungarian, the English-language edition (It’s title: Measured or Communicated? University Rankings as the Media Representations of Higher Education ) is expected in Fall 2018.